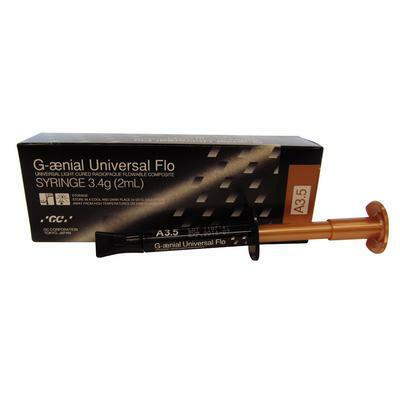 G-aenial™ Universal Flo Composite, 3.4 g Syringe Refill - GC America, Inc.
G-aenial Universal Flo is a nano-hybrid, light-cured composite that has the easy handling of a low-flow (high viscosity) flowable. 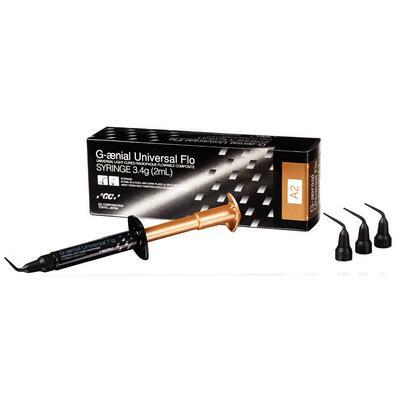 Advancements in filler technology led to a new silanation process, resulting in a product that is 69% (by weight) filled with 200 nm homogeneously dispersed particles. 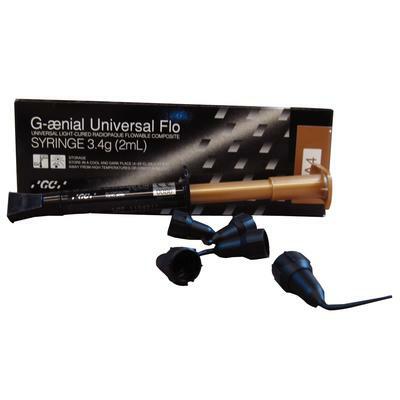 It also has thixotropic attributes that allow the material to have easy handling and placement. 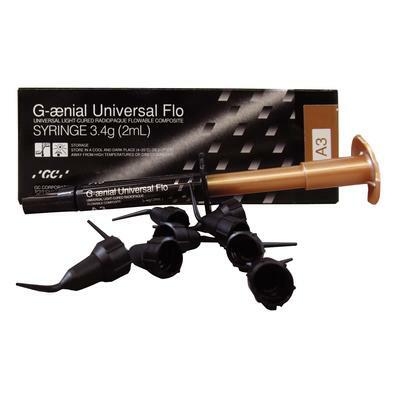 This flowable also has a beautiful finish and maintains its gloss.